Long narrow runners are available in various lengths offering an instant opportunity to add color, pattern and style to your hallway. In homes with wood or tile flooring these area rugs provide under-foot comfort and dampen noise. Layered over wall-to-wall carpeting, they protect and extend the life of the underlying investment in high traffic areas. If your space is extremely tight or narrow, avoid busy patterns as they will make the space feel cluttered. Remember that you can often see into several other rooms from the hallway. Another option for homes with visually busy rooms is to make the hallway a neutral space. Don’t be afraid to go big and bold with wall art, especially for more expansive landings or hallways. Or create a gallery with smaller pieces that won’t overwhelm your tight quarters. Reinforce the lines of the hallway by hanging similarly sized and framed pieces in a row, or break things up with an assortment of styles and sizes hung gallery-style. 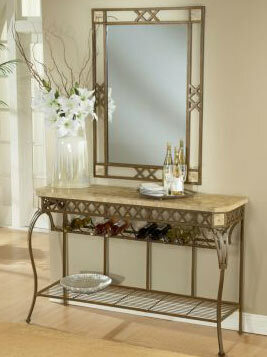 Make your transition space work for you; create a place to facilitate the busy comings and goings of the household. 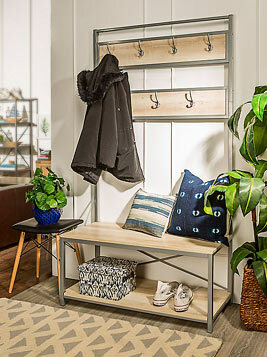 Add a hallway tree at an entryway to keep everyone’s stuff contained, organized and ready to go. 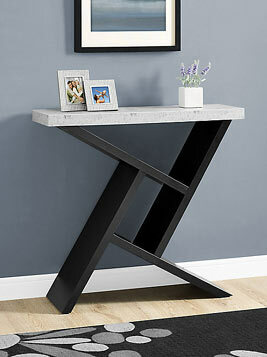 Narrow console tables or sofa tables work well in tight hallways or entryways. 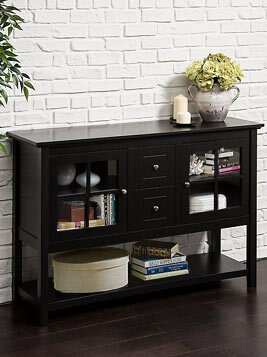 A corner or alcove could be the perfect place for a plant, small accent table or corner bookcase. If your hall ends in an alcove rather than a doorway make the most of that space with an accent cabinet or accent chair and table pairing. Landings can be roomy enough to add a trim settee or bench and table, creating a handy place to sit or for storage. Hallways are notorious for lacking natural lighting. Hang small chandeliers or add sconces on the walls to brighten your space. Mirrors and bright reflective surfaces can help make your hallway feel more open by enhancing the available light. 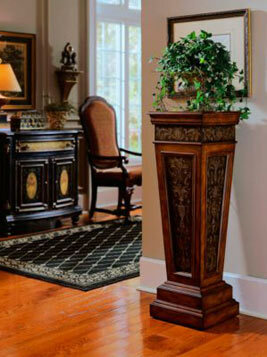 For more on styling your foyer, read our related article: Inspired Entryways.